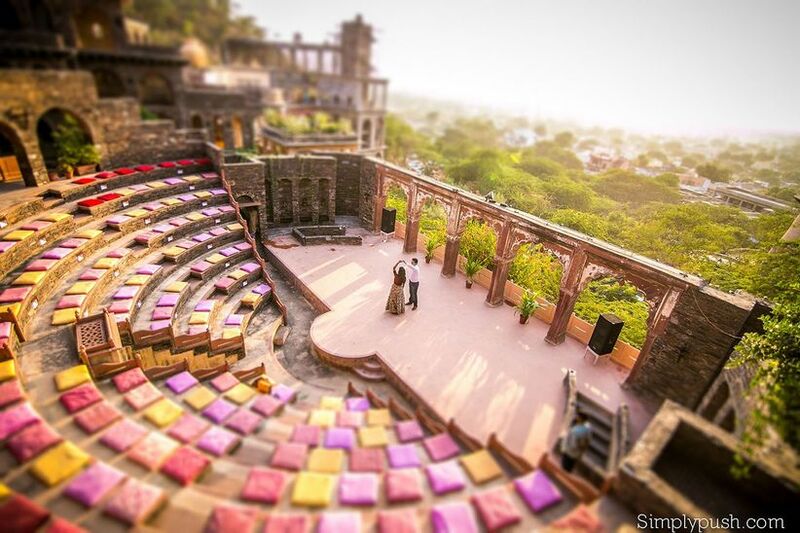 Have Your Very Own Royal Wedding at the Majestic Neemrana Fort | Wedding Tips ARE YOU A VENDOR? Hosting your wedding at a fort older than 534 years is certainly a great idea. 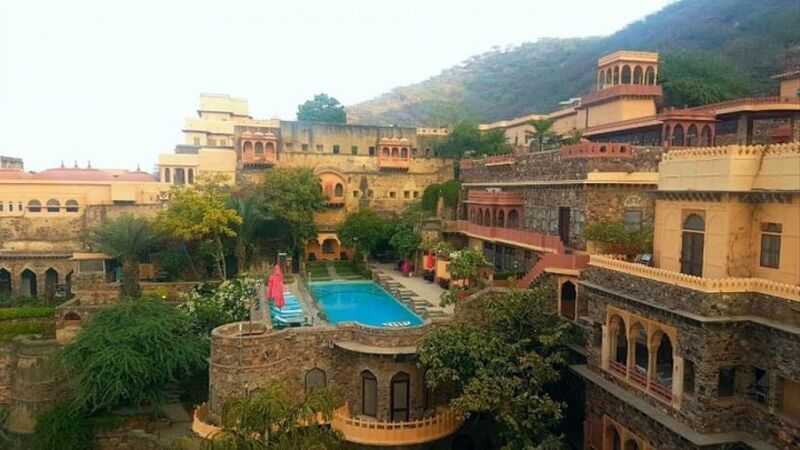 The Neemrana fort is a great wedding venue - find out why! 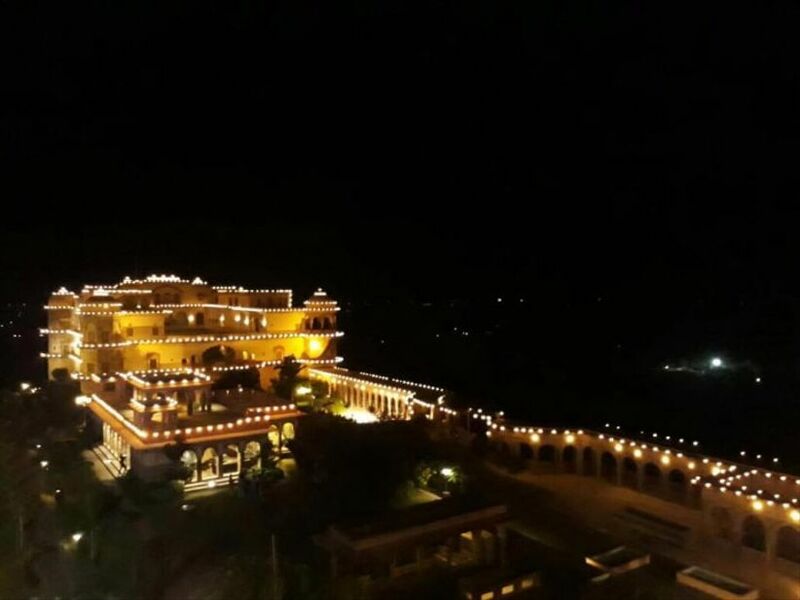 Neemrana Fort, located on the Delhi-Jaipur highway, can prove to be a fantastic wedding venue for brides who want an intimate destination wedding. Spread across 6 acres of hilly terrain, and tiered across 14 levels, this hotel palace is ideal for brides who love a sense of grandeur. Why should you host your wedding at the Neemrana Fort? The Neemrana Fort has 9 different wings spread across a stunning property. As a result, you can arguably host different functions within this venue, all with their own vibe and décor. If you are a bride who abhors repetition of any sorts, then this is certainly the right venue for you. One of the biggest reasons to host your wedding at the Neemrana Fort is that you can add little touches of the local culture to enhance each ceremony in a unique way. This way, you can host a wedding that is truly unforgettable! Most Sangeet ceremonies begin with friends and family dancing to cheerful Bollywood numbers. Instead of sticking to this tradition as is, you can organise a traditional Rajasthani cultural dance, via the Neemrana Music Foundation. While this foundation organises weekend performances at the hotel regularly, you can arrange for specific performance to kick start your Sangeet. Pick a folk song that captures your love story and allows their talented dancers to dazzle you and your guests! Throw a languid pool-side Mehndi ceremony on the next day for another fun spin on tradition. While the chances of swimming with intricate Mehendi patterns are quite slim, you can allow the poolside area to create a tranquil ambience – ideal for a day after a wild Sangeet! The Neemara fort rests on the foothills of the Aravalis. This makes it a great spot for a sunrise ceremony. 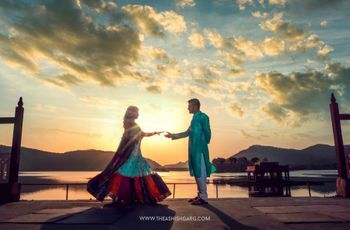 Starting your morning with an intimate Havan as the sun rises steadily to greet you on your wedding day can be a great beginning to your day. 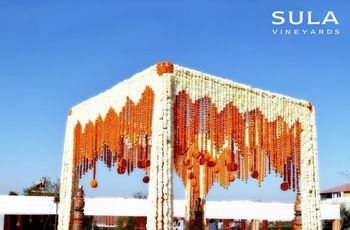 In general, the sun is worshipped extensively in Indian culture, and you can customise your ceremony to include elements of the same. This can help you ensure an auspicious beginning to the rest of your life! Now, it’s not only the bride who gets to enjoy touches of Rajasthani culture. Ask your groom to swap his horse for a camel on the day of the Baraat for a ride he’ll never forget. The hotel palace has many open spaces for you to host your wedding function, with Uncha Bagh being one of the most popular ones. Finally, the palace also offers one last spin on tradition during the Bidai. Instead of zooming away in your groom’s regular car, why don’t you rent a luxury vintage car from the palace, and start your journey together on a fantastic note? While these cars are generally available for short drives around the local villages, you can enjoy a ceremonial spin, so to speak, before returning to the palace. This makes sense because you’ll probably rent a bridal suite here for your wedding night. The fort palace is spread across 9 wings and has a total 72 rooms. As a result, it can provide accommodation for 300 guests, making it a great venue for a small to a moderate-sized wedding. 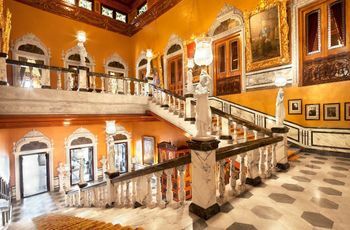 Of all the accommodation in the palace, the exquisite suites, Hara Mahal, Uma Vilas, Francisi Mahal, Sheela Mahal, Chanda Mahal, and Deva Mahal, are the most popular for guests planning a wedding. Elegantly designed, each suite and room in this hotel lives up to one’s expectations of staying in a palace. The tariff for the rooms can vary from ₹4,500 to ₹14,000 per night, and suites can vary from ₹11,000 to ₹30,000 per night, depending on which ones you choose. The rates may also vary from season to season, so you must confirm this with their staff before making any bookings. With its 14 tiered palace sprawled across the hills, this hotel offers an aesthetic that’s hard to match. 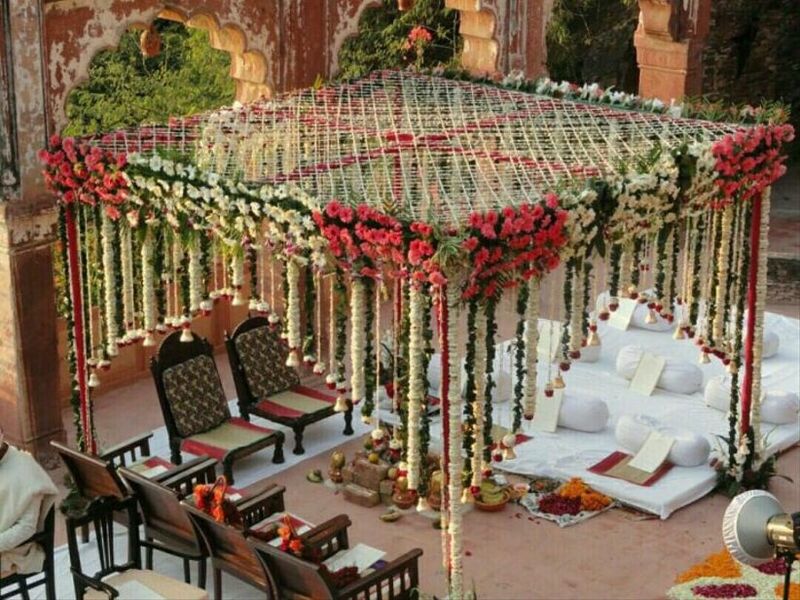 The royal Rajasthani vibes of the palace and décor can truly add an unforgettable touch to your wedding. Neemrana Fort is roughly two and a half hours away from Jaipur and 3 hours from Delhi. As a result, your relatives from these cities can enjoy the perks of a destination wedding without actually having to travel too far from home. You can arrange for transport via local taxicab services, or ask the hotel to arrange the same for you. Expert wedding planners can help you host a fantastic destination wedding that’s perfect in every way! Get in touch with them today!